Joomla is invariably the best Content management system in the global arena today. It is Receptive, Reliable and Secure. "Truning ideas into reality - Taking resposibility seriously"
The Joomla Content Management System is a kind of open source Content Management platform. It facilitates its users with powerful and comprehensive tools which helps to create and manage the websites more constructively. Joomla Web Development helps to organize various content and authorized users on a website. It has a high potential for customization, thus, it is the mainline solution for all types of businesses and organizations. It has an extensive frame of user permissions. It has more than 6000 extensions and about 2.8% of the world’s websites use Joomla. It can be set-up easily. It already includes most of the content forms, such as blog, RSS, media, multi-language and much more. Can easily optimize website, blogs, etc. Connects easily via email, messengers, live chats and phone. The India Internet works on a diverse range of Content Management solutions. From off the shelf CMS solutions such as Joomla to customized developments in PHP. 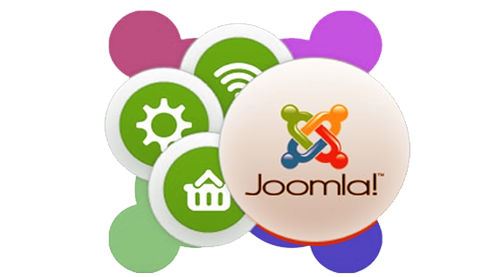 Joomla is one of the largest used powerful Open Source Content Management System. It can be easily installed and managed. It is used globally for everything from simple websites to complex corporate applications. We offer effective customization services as per the needs of our clients. Our experienced team of developers will handle the needful specifications.